On a rainy day in May of 1972, President Nixon addressed a crowd buzzing with anticipation at Andrew’s Air Force Base as he prepared to depart on an extraordinary trip. President Nixon made history early that year when he became the first American president to visit the People’s Republic of China. Now, he was about to embark on a journey that would take him into Moscow, making Nixon the first U.S. president to visit the communist capital. Throughout the fifties and sixties, American presidents met with Soviet leaders every few years. While previous encounters typically encouraged closer relations between the United States and the Soviet Union, they lacked concrete bilateral improvements that could yield significant results for either country. President Nixon was determined that his trip to the Kremlin would be different. In this case we are not going there simply for a better spirit, although that is important, and we think that may be one of the results of the trip. But we are going there for substance, very important substantive talks. We are not going there to make headlines today. We are going there in order to build what we hope will be a structure that can lead to better relations between the Soviet Union and the United States, and a better chance for peace tomorrow and in all the years ahead. Although many Americans remained apprehensive about the ideology and intentions of the U.S.S.R., others were thrilled by the idea of intensive talks between the world’s foremost leaders. Those who wanted to quell the threat of nuclear war, establish new trade partnerships, and create a better, safer world, believed in President Nixon’s abilities as a diplomat and mediator. The enthusiasm and high expectations felt by Westerners was reciprocated on the other side of the Iron Curtain. Soviet statesmen, along with the press, felt that good natured negotiations with the U.S. would support mutual desires for peace. Other Eastern European nations felt similarly. 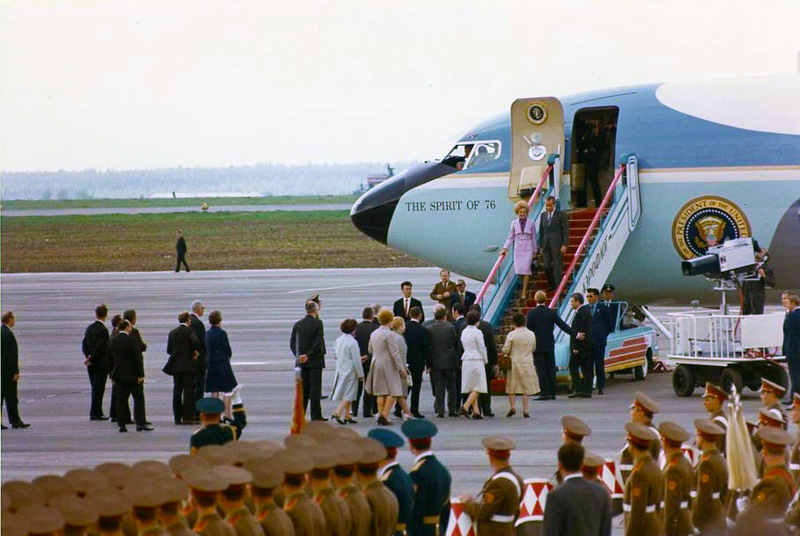 A Polish daily newspaper reported that President Nixon’s “era of negotiations” would be accomplished upon a successful summit in Moscow, and the Hungarian foreign minister felt the President’s trips to Peking and Moscow would significantly ease tensions in Europe. 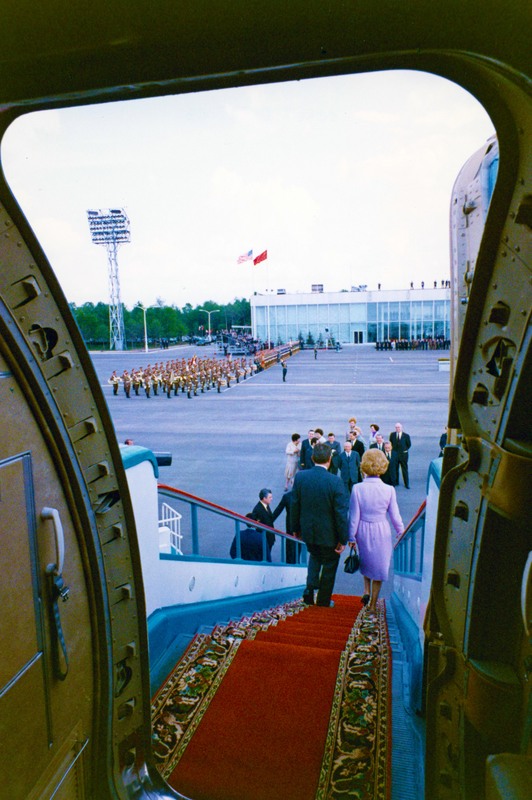 When President Nixon departed that morning in May, he carried the great hopes and ambitious expectations of the world across the Atlantic and to the heart of the Soviet Union.